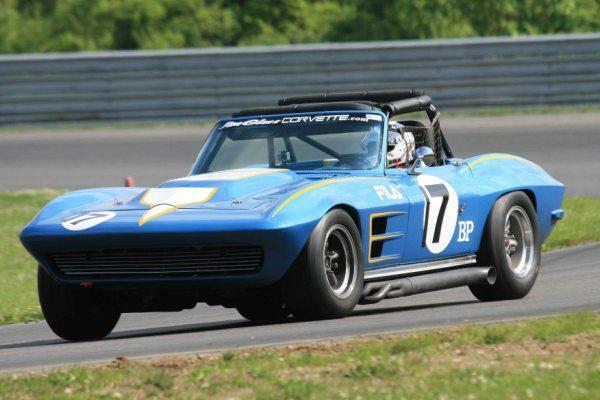 Jim Glass owns a Corvette shop and showroom in Kingston, NY, just a couple miles from the beautiful Rhinebeck Bridge over the stunning Hudson River and about ten minutes to the famed 60’s Woodstock, NY. This is the land of Sleepy Hollow tales. Jim is a humble guy, down to earth, and easy to talk with. He sports a Leno-style head of white hair. Jim invited me to attend the VSCCA event in June, 2010 at Lime Rock Park in Connecticut and then to Kingston to tour his shop and superb showroom. Jim had just finished a qualifying sprint when we sat down in the paddock area to chat in 90 degree heat. 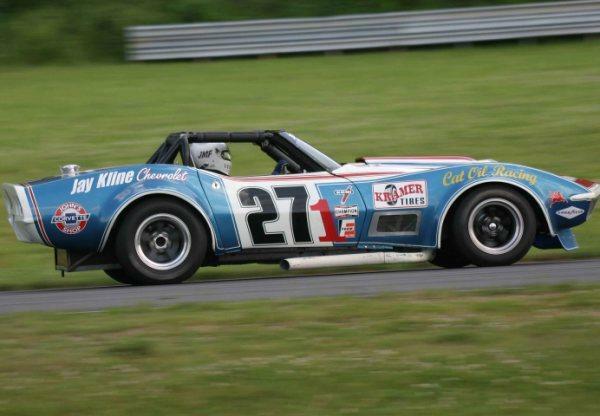 Sports Car Digest: We’re here at Lime Rock this weekend. What’s so special about racing here? 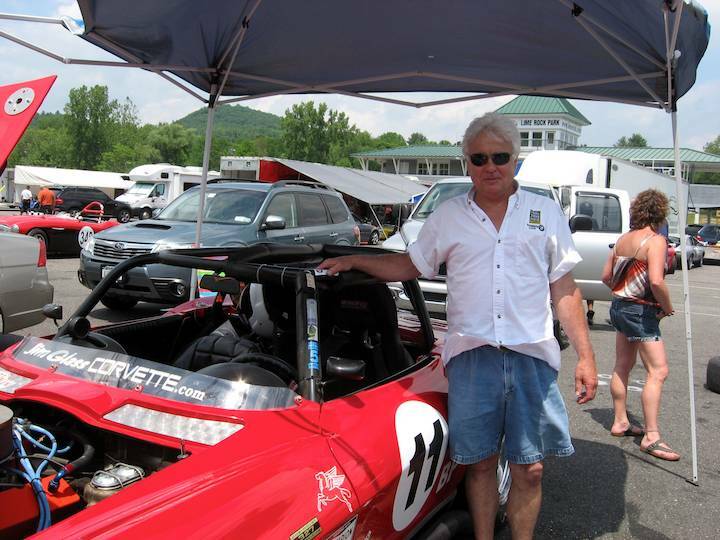 Jim Glass: For me, Lime Rock is close to home and it’s where I have the most experience. SCD: Talk about the cars you are campaigning today. JG: Number 11 is a red, 1965 Corvette. 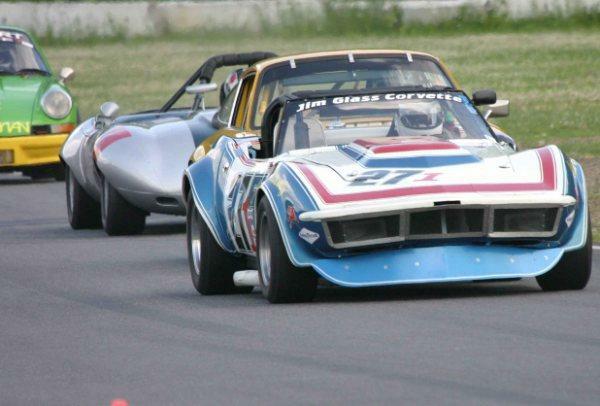 It was originally driven by Larry and Dawn Vitelli at Bridgehampton during the 1972 season. 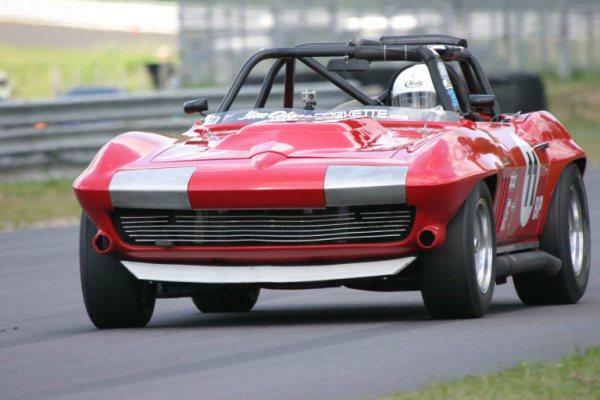 In 2008 this car went through a complete body off restoration and competed in the Rolex Vintage Fall Festival, the Watkins Glen Vintage Grand Prix race, and various other events. 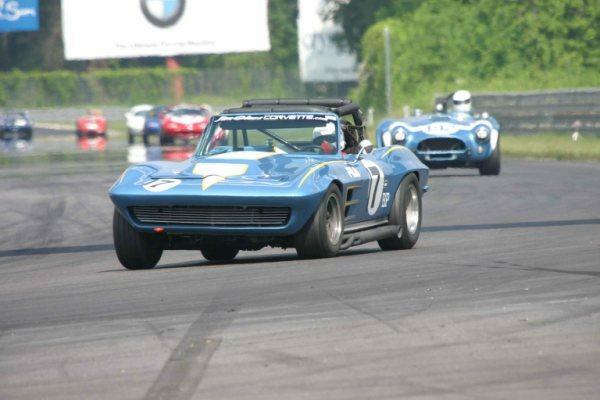 Number 7 is a 1964 blue, Corvette. 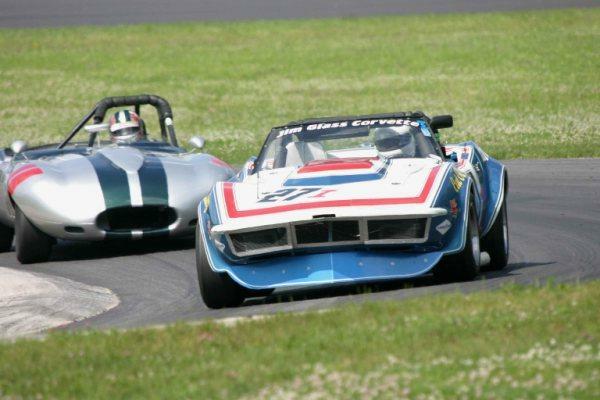 It was originally driven by Doug Rippie during the 1972 and 1973 seasons, and was also driven later by Frenchie Damper, Steve Strandemo and Doug Kelley. This car underwent a mechanical restoration, which included new shocks, a new radiator, new hubs, and many other parts. It was also treated to new paint and graphics. SCD: Are there any cars here racing today that you’ve serviced? 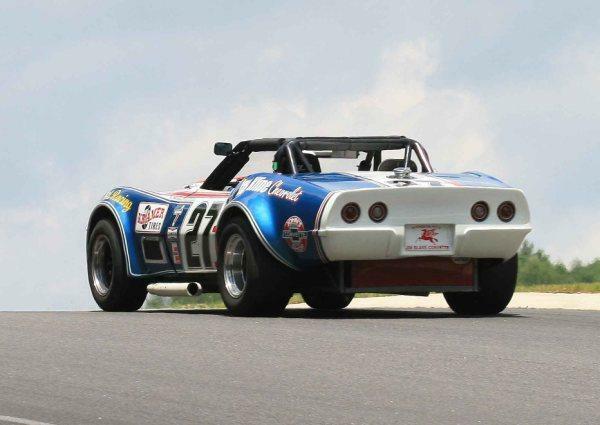 JG: Number 27 is a red, white and blue 1970 Corvette owned by Mark Ferrara. 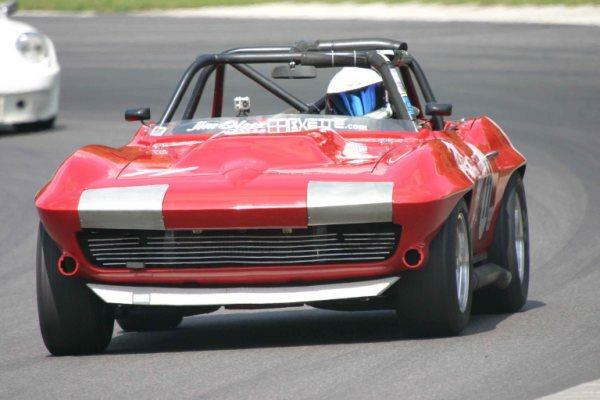 We totally restored this racecar in the winter of 2008 into 2009. This included the body, paint, and mechanical portions of the car. 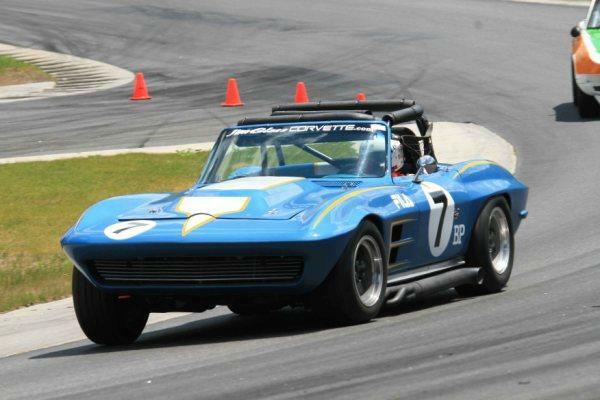 Also, Number 4, a 1966 blue Corvette is here owned by Bill Bogner. He’s a new customer who use to race modifies on oval tracks and now he’s road racing. 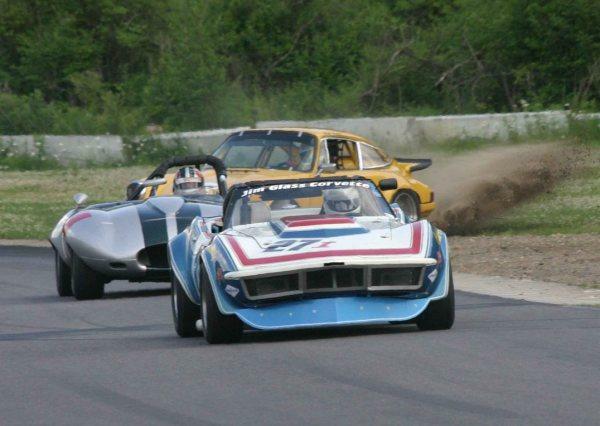 Bill is new to vintage road racing, but he raced late models in the Buffalo area for many years. 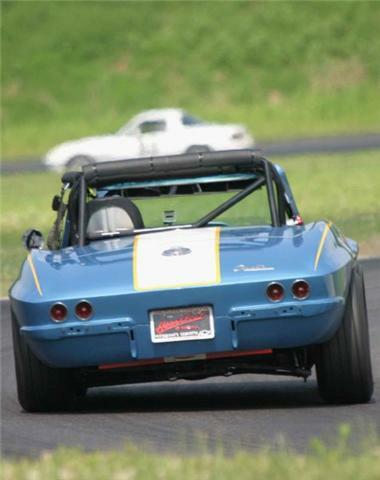 Today is his first vintage competition at Lime Rock Park. 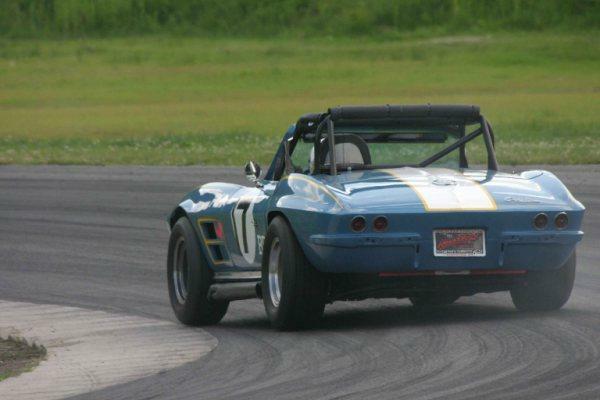 We sold him the Corvette in 2009 and did a lot of mechanical restoration and helped Bill get comfortable driving his car. 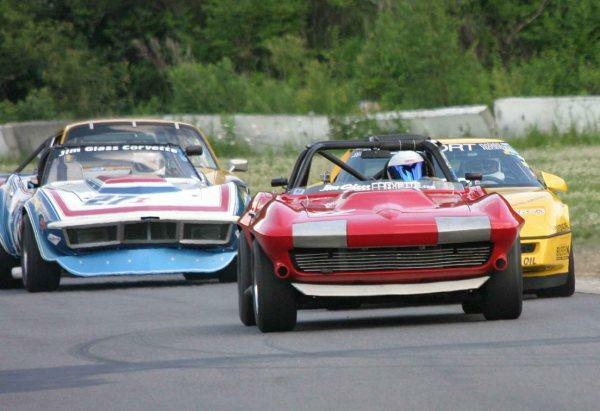 SCD: What has your vintage racing team learned over the years? JG: We have more experience and know which extra parts to bring. We’ve also learned how to make the drivers more comfortable. With that, the speed will come. SCD: My son, Marcel, who is 13, is here today and he wants to know how you select a team driver? JG: I met Tony Carpanzano about 7 years ago. He was racing in the Formula Atlantic series. We became friends and now he’s been driving for me for about 5 years. Today he is driving our team #7 Corvette. Tony is a good set-up guy. He has a good feel for problems. SCD: What are you the most excited about this year and why? 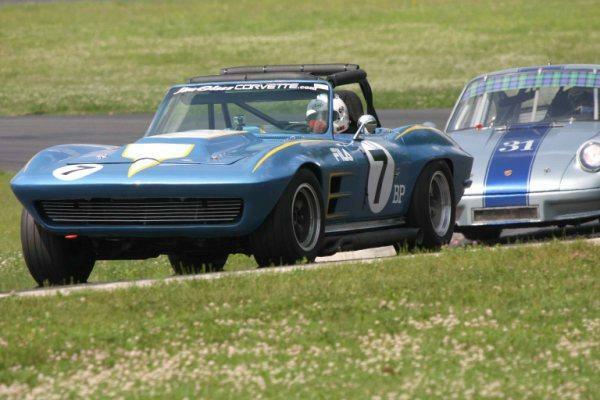 JG: I’m really excited about Lime Rock’s Vintage Fest this year. We will have four racecars there. 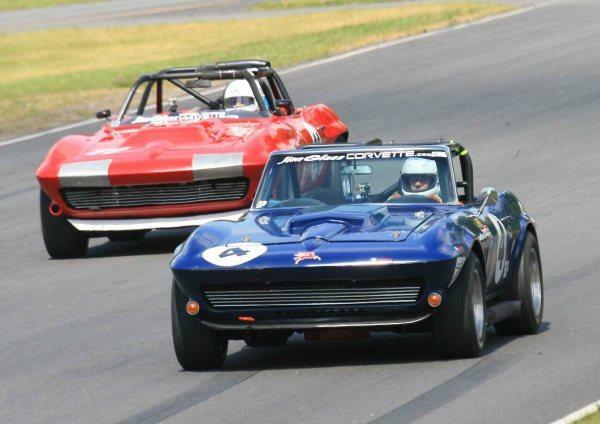 We’ll be at other events like the SVRA race at the Glen and the New Jersey Motorsports Park Lightning Track, which are great. Also, we have a lot of new customers this year. SCD: What do you think about the current focus on keeping vintage cars as original as possible, delaminating paint, cracked leather seats, original shocks, etc.? SCD: Can you share with me a humorous incident that happened during a race? 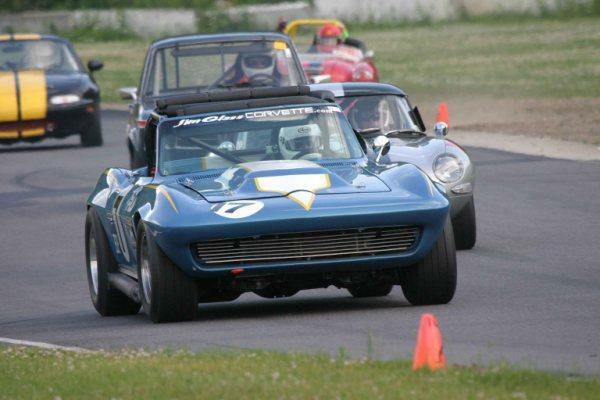 JG: Yesterday, I ran a seven lap sprint against a ’90’s Corvette # 4 driven by Kim Baker. That car has more modern racing slicks and brakes. He was on my back bumper the whole way (See photo). If the race was longer, I’m sure he would have caught me. The crowd was on their feet routing for me and I actually beat him. I won the race overtaking his yellow Corvette. It was like old school vs. new school technology, and it made for a very interesting and fun race. 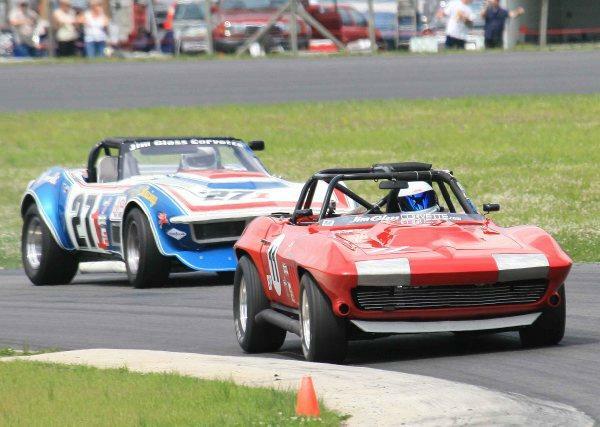 SCD: Besides Corvettes, what is your favorite car? JG: I like Camaros. 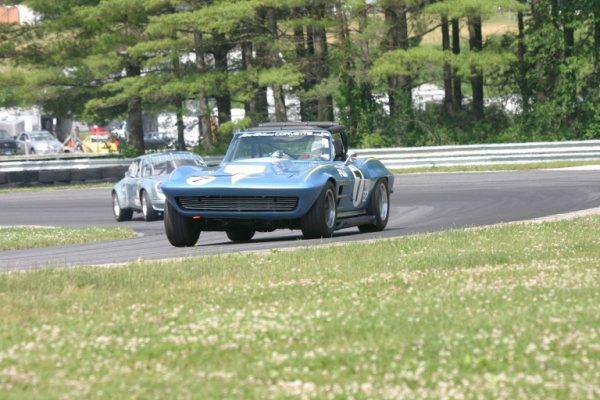 I have an original Trans-Am that I love to run here at Lime Rock. It has significant history. It’s the # 15 Jocko’s Camaro and was raced in the 1972 Trans-Am Race at Lime Rock Park by Will Cagle. Jocko raced the car in the San Air Trans-Am Race in 1972. 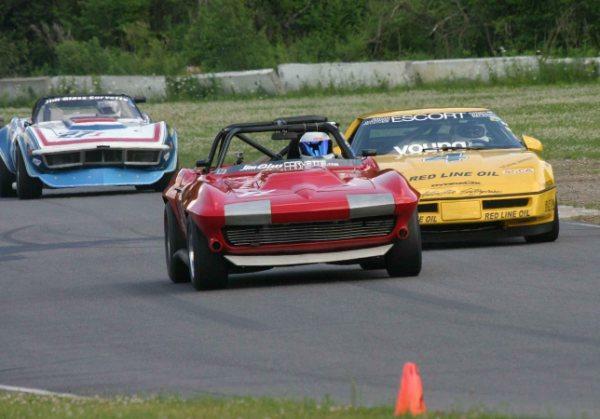 I have raced the Jocko Camaro in three Historic Trans-Am events at Lime Rock Park, and competed at Mount Tremblant, Summit Point and Watkins Glen. This car has been documented and recently underwent another restoration. We hope to run this car in September. I also have a ’68 Big Block 427 street car. It’s a lot of fun to drive! It’s an SS model with a 427 cubic inch, 400 horsepower engine out of a 1968 Corvette. It’s a great car. All you need to do is turn the key and drive. SCD: Tell us about an unforgettable story from the track? JG: I was headed into Big Bend here at Lime Rock and I ran through some oil and spun off the track into about a half foot of water. The side pipes were under water. It sounded like a motorboat. The tow guy wasn’t too happy getting me out! 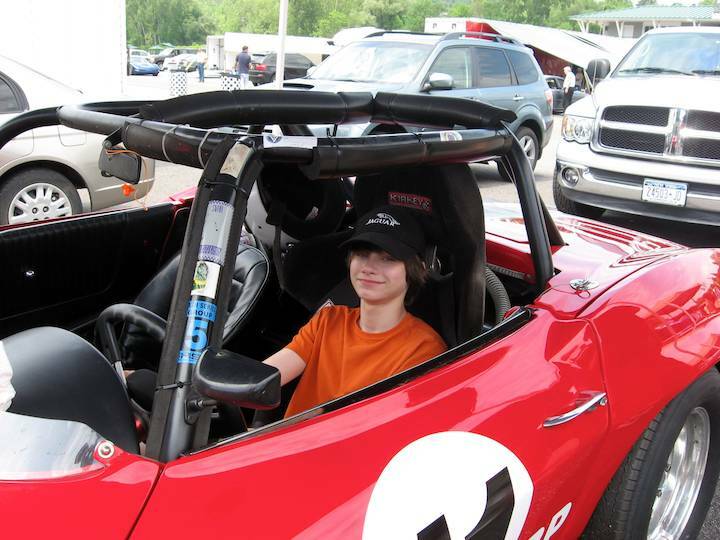 This is a great story, highlighting TRUE Corvette enthusiast … Bravo! AMERICAN MUSSEL lay-N down the LAW…. One lap at a time. #27 Vett is a baaad M-Fer. No doubt about it…. This waden so much a race as it wuz ah uh THUNDER STOM …. !